Popular Central Districts rider Robbie Hannam picked up a winning treble at Awapuni on Saturday less than a month after returning from his third riding stint in India. Hannam packed his bags back in July to honour a commitment to ride on a four-month contract for Hyderabad based trainer Vital Deshmukh. “I think I rode about seven of eight winners while I was there but this time around it wasn’t as good, so I ended up coming home a few weeks earlier than originally planned,” Hannam said. “My trainer didn’t have many horses entered in the last month I was there, so I wasn’t getting that many rides. “That made it easier to come back, although I really did enjoy my time up there. 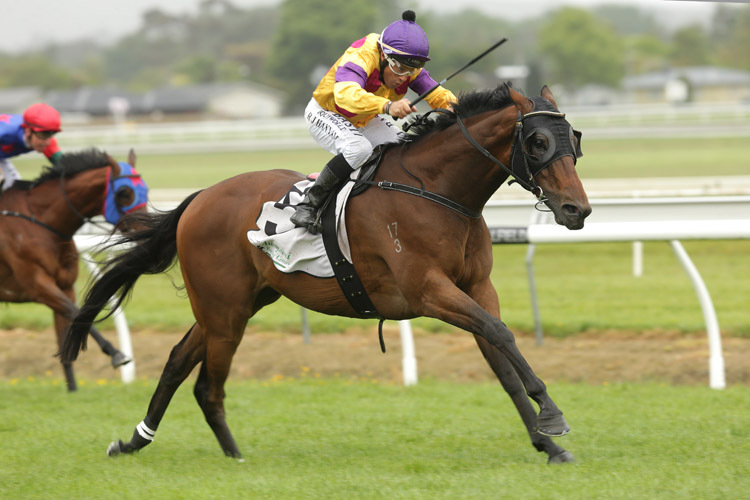 Hannam had his first ride back in New Zealand on October 11 with Saturday’s winning treble marking his first success for the new season. He started the day well when winning on the Lisa Latta trained pair of Father Lenihan and Last Chance in consecutive races before closing out the meeting in style on enigmatic galloper Leading Role for Gary Vile. “It has taken a while to get my connections back with the trainers, so I’m delighted to have had such a good day like I did on Saturday,” he said. Hannam was particularly happy to see Leading Role bounce back to form after disappointing in his most recent runs. “He’s a quirky type who doesn’t always get the best luck or live up to the ability he has, so I was really happy he could get a win for Gary as he’s tested his patience on more than one occasion,” he said.